Following strong consumer response to Carnival Triumph’s first-ever longer length voyages from Galveston and San Juan, the cruise line has added three new 10- to 12-day cruises departing in winter 2015 and visiting beautiful and exotic destinations throughout the Caribbean and Central and South America. Additionally, Carnival Magic will offer a series of four- to six-day voyages from Galveston in winter 2015, marking the first time that the 130,000-ton ship has offered a short cruise program from Texas. “At the same time, the four- to six-day sailings on Carnival Magic are the perfect choice for those looking for a shorter cruise featuring all the wonderful innovations aboard our newest class of ships,” he added. 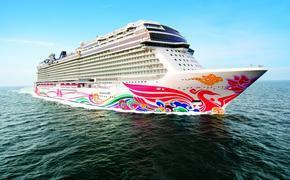 An 11-day southern Caribbean voyage from Galveston to San Juan Feb. 9-20, 2015, calling at Grand Cayman, Aruba, Bonaire, Grenada, Dominica and St. Maarten. A 10-day exotic eastern Caribbean voyage from San Juan to Galveston Feb. 20 - March 2, 2015, with visits to St. Thomas, St. Maarten, Antigua, St. Kitts, St. Croix and Falmouth (Jamaica). A 12-day Journey of Discovery cruise round-trip from Galveston March 2-14, 2015, featuring Grand Cayman, Limon (Costa Rica), Colon (Panama), and Cartagena and Santa Marta (Colombia). From Colon, guests will have the opportunity to take an optional excursion for an up-close view of the wonders of the Panama Canal. The call at Santa Marta will mark Carnival’s first-ever visit to this beautiful and exciting seaside city. The three voyages can be combined to create an unforgettable 33-day seagoing adventure visiting 15 ports across two continents. During these voyages, guests can relax on some of the world’s most beautiful beaches, visit centuries-old historical landmarks and attractions, and enjoy a diversity of shopping, dining and sightseeing opportunities, all while experiencing Carnival Triumph’s impressive array of Fun Ship 2.0 dining, bar and entertainment innovations. These include Guy’s Burger Joint developed in tandem with Food Network star Guy Fieri, the cocktail pharmacy-themed Alchemy Bar, BlueIguana Cantina Mexican venue, the poolside BlueIguana Tequila Bar and RedFrog Rum Bar, and more. The three new voyages complement Carnival Triumph’s previously announced series of 10- and 11-day cruises from Galveston and San Juan in 2015 and 2016. Two 11-day cruises sail from Galveston to San Juan Oct. 24, 2015, and Jan. 16, 2016, and two 10-day cruises will operate from San Juan to Galveston Nov. 4, 2015, and Jan. 27, 2016. 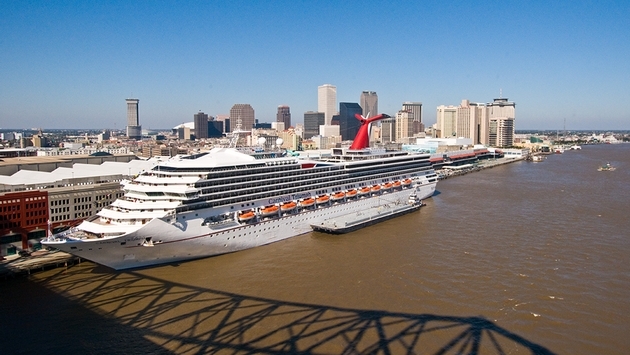 While Carnival Triumph is sailing these longer length cruises, Carnival Magic will, for the first time, offer a series of four- to six-day voyages from Galveston in February and March 2015, providing consumers an opportunity to experience the ship’s many unique features on a short cruise program. Aboard Carnival Magic, guests can experience SkyCourse, a suspended ropes course offering breathtaking views to the sea 150 feet below, as well as the Cucina del Capitano family-style Italian restaurant, Prime classic American steakhouse, the Caribbean-themed RedFrog Pub and a stunning indoor/outdoor café and live music venue called Ocean Plaza. Carnival Magic’s short cruise program will encompass two four-day cruises to Cozumel departing Feb. 19 and March 5, 2015; two five-day cruises to Cozumel and Progreso, Mexico, departing Feb. 14 and 23, 2015; and two unique six-day cruises to Cozumel, Progreso and Costa Maya departing Feb. 8 and March 9, 2015. Carnival is currently accepting reservations for new departures aboard both Carnival Triumph and Carnival Magic. For additional information and reservations, call 1-800-327-9501 (individual) or 1-800-327-5782 (groups) or visit the line’s travel agent Internet portal, GoCCL.com.